We are delighted to announce our exciting NEW Fitness and Group Exercise Timetable is launching very soon. Our amazing new timetable will start on Monday 29th April and you’ll be able to book from Monday 15th April. We will be launching Body Attack for the first time. We are also introducing Beginners Cycling and HIIT Cycling. As well as adding new classes we have increased a number of our most popular class across the timetable. 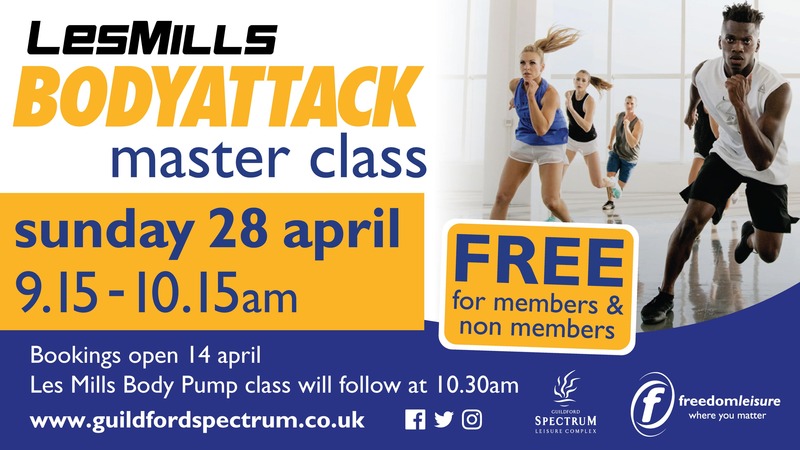 To celebrate the launch of our new timetable, we are running a Les Mills Body Attack Master Class, run by a Les Mills presenter, with a Body Pump class straight after.